Every piece of IT equipment for your data center needs a place to live. In order to keep everything working properly, all equipment must be organized in a specific area. IT equipment can easily be stored in server racks and server cabinets for organizational purposes. If you’re looking to purchase a few racks for your business, here’s what you can store in them. What Can You Store in Your Server Rack? Electronics racks are a great place to store things like power units, system units, IT-related boards, and, of course, servers. But aside from those standard tools, there are a few other things that you can make room for in your rack. For instance, you can use these units to hold a backup battery for the UPS. This will come in handy if the power were to go out. The next thing you’ll need is a power monitoring system. This will help you understand how much power is being consumed and determine how you can cut back on energy. You’ll also need room for a few power strips. Three-phase power strips can help relive stranded power issues. An environmental monitoring system should also fit into the rack, and it can prevent your systems from overheating. It will give you a warning when the temperatures exceed certain limits. 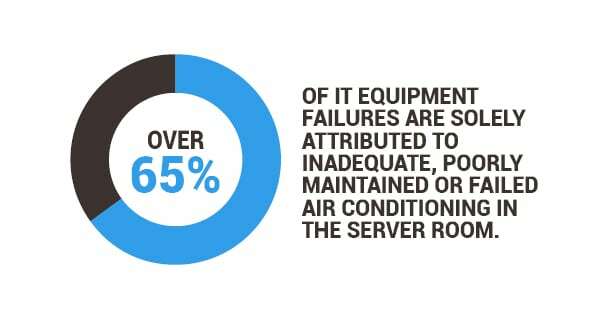 Over 65% of IT equipment failures are solely attributed to inadequate, poorly maintained, or failed air conditioning in the server room. Before you install server racks, your IT units, and the additional accessories, there are a few things you’ll need to consider. You’ll need to figure out how many pieces of equipment you can safely put in one rack and make sure you have enough space for everything to fit securely. A common rack has a width of 24 inches, a depth of 42 inches, and a height of 42 U. Take some time to do the math to ensure you purchase the perfect server rack for your needs. To keep your data center working efficiently, your IT equipment must stay organized. To keep everything organized and ready for use, install server racks and cabinets that are large enough to store your most important IT tools.